Lehman Center for the Performing Arts is proud to present a special concert featuring multi GRAMMY® Award-winning La Princesa de la Salsa, INDIA on Saturday, October 15th, 2016 at 8pm. Special appearance: EDDIE PALMIERI and RAY DE LA PAZ. Produced by Lehman Center and Leo Tizol. Lehman Center for the Performing Arts is on the campus of Lehman College/CUNY at 250 Bedford Park Boulevard West, Bronx, NY 10468. Tickets for THE KINGDOM OF INDIA on Saturday, October 15th, 2016 at 8pm are $100*VIP, $85, $75, and $65 and can be purchased by calling the Lehman Center box office at 718-960-8833 (Monday through Thursday, 10am-5pm, and beginning at 12 noon on the day of the concert), or through online access at www.LehmanCenter.org. *New This Season: HAVANA CAFÉ and Lehman Center special VIP pre-concert wine & hors d'oeuvres reception starting at 6:30pm. VIP tickets include the reception and the best seats in the house. At the reception meet other patrons and the staff of Lehman Center. Sponsored by Havana Café Restaurant and Havana Club Puerto Rican Rum. Lehman Center is accessible by #4 or D train to Bedford Park Blvd. and is off the Saw Mill River Parkway and the Major Deegan Expressway. Low-cost on-site parking available for $5. INDIA was born in Rio Piedras, Puerto Rico and grew up in the La Candela section of the South Bronx listening to recordings of Celia Cruz and Ella Fitzgerald. She made her professional debut singing with the popular dance music group TKA. While still a teenager, she recorded her first single "Dancing on the Fire" with its Spanish language version "Bailando En El Fuego" with mega producer "Jellybean" Benitez and "Lover that Rocks" which made it into the top 5 dance singles chart. With producer "Little" Louie Vega, she recorded now classic hits "I Can't Get No Sleep", "When You Touch Me", and "To Be In Love" and reached #1 on the Billboard Dance charts with "Love and Happiness." In 1992, Eddie Palmieri came to the studio to hear her for himself. When they recorded the amazingly popular Llegó La India via Eddie Palmieri, "La Princesa de la Salsa" had arrived in the world of Latin music. In 1994 she released her record-breaking quadruple platinum album Dicen Que Soy, which included the explosive duet with Marc Anthony, "Vivir lo Nuestro". This phenomenal album also contained the hits "Nunca Voy a Olvidarte", "Que Ganas de No Verte Mas", "Ese Hombre", "O Ella o Yo" and the title track "Dicen Que Soy". In 1996, India was spotlighted throughout Tito Puente's salsa flavored hit album with the Count Basie Orchestra, Jazzin', which resulted in five GRAMMY nominations. 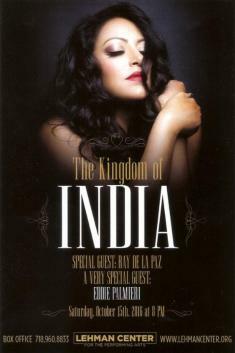 India's Sobre el Fuego (1996), the first of two albums produced by Isidro Infante, and featured collaborations with Celia Cruz and Johnny Rivera, topped the Tropical/Salsa chart with the hits "Me Canse de Ser la Otra", "Mi Mayor Venganza" and "Costumbres". The second, Sola, her highly acclaimed tribute to the late Cuban diva La Lupe, was honored with the 2000 Latin Billboard award for Best Tropical/Salsa Album of the Year. This was followed by a string of number 1 singles on the Billboard Tropical chart: "Seduceme" and "Traicion" (both from her 2002 album Latin Songbird: Mi Alma y Corazón) and "Ya No Queda Nada" (2005). In 2007 Latin Billboard Awards honored her with Best Female Tropical Album of the Year for her salsatón inflected Soy Diferente and Latin Dance Club Play Track of the Year for "Solamente una Noche." In 2010 she released her ninth studio album, Unica, and her single "Estúpida," hit #1 on the tropical Billboard charts. In 2011, she released "Tacalacateo" as a collaboration with DJ Peppe Citarella which peaked at #13 on the Billboard dance chart. India was a guest artist on arranger Tony Succar's 2012 production UNITY: The Latin Tribute to Michael Jackson and in 2014 she joined Ismael Miranda and the Salsa Giants to record "Bajo la Tormento". Her latest release, 2015's magnificent tribute album to the great Mexican ranchera vocalist Juan Gabriel, Intensamente Con Canciones de Juan Gabriel jumped immediately to the number 1 spot on the Billboard Tropical Albums chart and when her latest single from the album "Ahora Que te Vas" became a #1 hit, India made history becoming the female singer with the most #1 singles in the Billboard Tropical Songs Charts. EDDIE PALMIERI, known for his charismatic power and bold innovative drive, has a musical career that spans over 50 years as a bandleader of salsa and latin jazz orchestras. Born in Spanish Harlem, he began his career as a pianist in the ‘50s with Eddie Forrester's Orchestra. He spent a year with Tito Rodriguez before forming the legendaryConjunto La Perfecta in 1961. With an infectous sound, Palmieri's band soon joined the ranks of Machito, Tito Puente, Tito Rodriguez and other leading orchestras of the day. His discography includes over 36 titles, of which nine have received GRAMMY Awards and his recordings have become classics with such hits as "Muñeca," "Vamonos Pa'l Monte," "Puerto Rico," and "Azucar Pa' Ti". 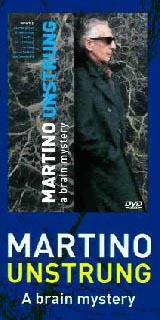 In 2013, Palmieri was honored with the National Endowment of the Arts Jazz Master Award and the Latin Academy of Recording Arts & Sciences' Lifetime Achievement Award. RAY DE LA PAZ was born in Harlem, NYC and grew up in the Bronx. In 1970 he became the vocalist for El Conjunto de Don Juan for two years before hooking up with Chino y su Conjunto Melao, singing on their self-titled first album (1975) that contained the hit "Que Bien Te Vez". During this period he met Louie Ramírez, who asked de laPaz to sing coro on "La Pollera Colora" on the album Conquista Musical with Sonora Ponceña (1976). 1976 was also the year of his recording debut with Ray Barretto on Barretto Live, the first of four records he would cut with Barretto. In 1982, de la Paz, along with José Alberto "El Canario" and Isidro Infante recorded the Louie Ramírez album Noche Caliente of salsa arrangements of hit ballads, which resulted in the monster hits "Estar Enamorado" and "Todo Se Derrumbó" and created a new style of music now called Salsa Romántica. Ramírez and de la Paz went on to record three massively successful Gold records, ¡Con Caché! ('84), Alegres y Romanticos ('85) and Sabor con Clase! ('86), before de la Paz started his solo career, releasing Como Tu Quieras in 1990. Reuniting with Ramírez in '92 to record Otra Noche Caliente produced the hits "Suddenly", "Definitivamente" and the ever-popular "Medley". In 2000 he joined the Spanish Harlem Orchestra as lead vocalist and their GRAMMY nominated debut release Un Gran Dia En El Barrio (2002) won the Latin Billboard Award for Salsa Album of the Year. Subsequent albums Across 110th Street (2004) and Viva La Tradicion. (2010) both won GRAMMY Awards. Lehman Center for the Performing Arts, Inc. is supported, in part, with public funds from the New York City Department of Cultural Affairs in partnership with the New York City Council. The 2016-2017 Season is made possible by the New York State Council on the Arts with the support of Governor Andrew Cuomo and the New York State Legislature. Additional funding is provided by Con Edison, the New Yankee Stadium Community Benefits Fund, the Rudin Foundation, the Hyde and Watson Foundation, and the friends of Lehman Center.